Robert L. “Bob” Ramsbottom, 85, of Evansville, formerly of Derby, passed away peacefully in his sleep, on Tuesday September 11, 2018. Bob was born in Gallatin, Missouri on June 23, 1933 to Oren and Virginia (Hall) Ramsbottom. 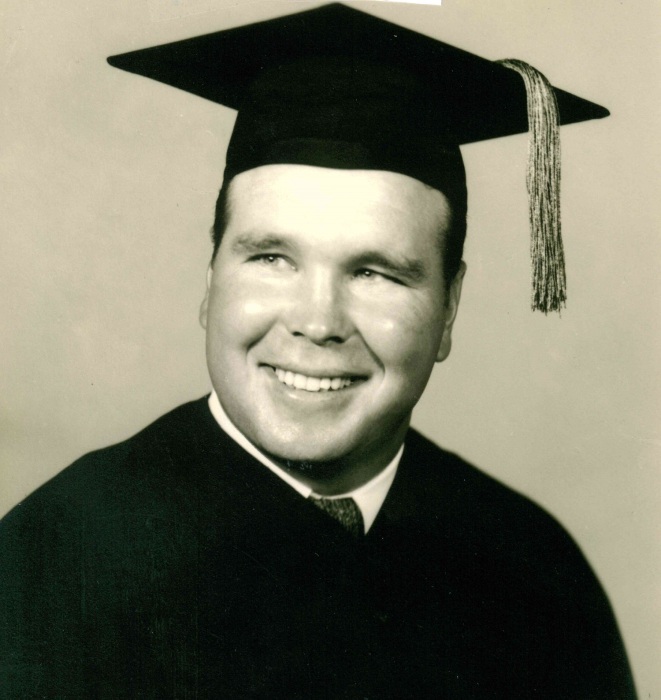 Bob graduated from JC Penny High School in Hamilton, MO and played football for Culver Stockton College before serving in the U.S. Army during the Korean Conflict for two years. He later returned to college, this time playing football for William Jewel College in Liberty, MO, also running track and wrestling. He graduated in 1958 and attained his Master’s Degree in 1970. On July 1, 1955, Bob married his soulmate, Willa Dean McClain. Bob taught and coached football and track in Kansas before joining the Job Corp. as a recreation director in Branchville, IN. In 1967, he was hired by Perry Central High School to teach and start a football program. Bob loved Perry Central, coaching and teaching there for 25 years before retiring as their Athletic Director. He and Willa stayed in Perry County where he was active civically in the Parks and Recreation Department, County Council, AAU Track, United Way and Relay for Life, to name a few. He was a member of First United Methodist Church and was an active cyclist and hiker, having a trail named after him at Eagles Bluff in Cannelton and an avid historian, in which he enjoyed sharing those gifts with others. This past May, Bob participated in the EVV8 Honor Flight of Southern Indiana. Surviving are his children, Michelle Craddock and Gina Muller (Aaron), all of Evansville; daughter in law, Nancy Ramsbotton, Indianapolis; grandchildren, Shelby Brown (Cody), Jacob and Christina Muller; step grandchild, Leah Padgett; step great grandchildren, Devon Padgett and Kayla Brents. Preceding him in death besides his parents and wife was his son, Robert Ramsbottom and brothers, Charles and Don Ramsbottom. Funeral services will be held at 11:00 AM CDT Friday, September 14, 2018 at Huber Funeral Home, Tell City Chapel. Sheila Rearden will officiate. Burial will follow in Derby Cemetery. Visitation will be Thursday from 3:00-7:00 PM and Friday 9:00-11:00 at the funeral home. Memorial contributions may be made to Perry Central Lights-On after school program.